We opened our first Brushfire Tacos y Tapas June 2013 on 83rd Avenue and West Thunderbird Road in Peoria, Arizona. The origin of the name Brushfire is interesting. The Lord gave me the name originally for a missionary foundation I started in 1984 that was located in Honduras, Central America. 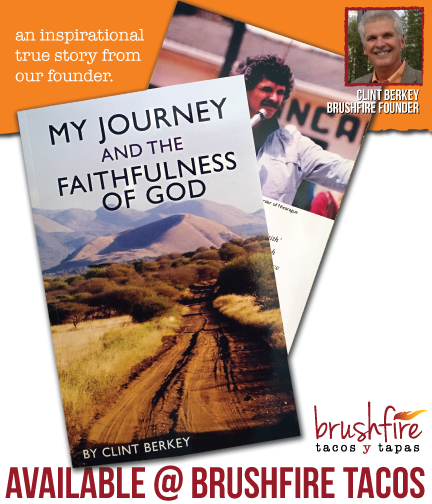 It was called ‘Brushfire World Evangelism’. I love Latin America and Mexican food in particular. 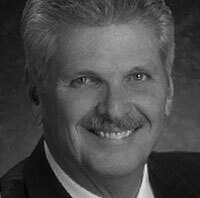 After working as an Evangelist for 14 years, I came back to the Pacific Northwest where God opened up a business career for me as an insurance agent that grew to include an appointment with a national investment brokerage. Because of the tremendous business growth and success over the next 14 years, I wanted to invest in a ‘Give-Back’ business. The profits from the business would be given back to the community and the work of The Lord. While looking for a piece of property in the Western Phoenix Valley for my son’s coffee business, I purchased a parcel in Peoria that was bigger than we needed for the coffee franchise. The question then became what to do with the unused portion of the lot. After much prayer and anticipation of some kind of a retail business to be revealed, I reluctantly agreed to think about a small Mexican drive thru restaurant because it kept coming up in my thoughts during prayer while asking for direction. After more prayer, I felt that God was indeed directing my thoughts and that I was to build this small drive thru restaurant. I said with some lingering reservations; “Lord, I will be your facilitator for this restaurant business(s). But, You are the owner and I will need your step by step instructions.” As for the name Brushfire, my daughter, Hope, said; “if you considered this new restaurant a latter day form of the original ministry, it should be the same name (Brushfire) that God had given you for the first missionary ministry.” “Ok then, “Brushfire” it is. From the very onset, I wanted the food to be delicious and we would make sure we satisfied that goal before the doors opened. Next and as important as any single element, was that all our employees would be willing to give of themselves to every patron that drove through our restaurant in a significant way. I wanted customers to feel that they all mattered to us and receive an upbeat, warm personal greeting. I wanted them to feel better about their day just because they stopped by Brushfire. The thought that Brushfire puts in the minds of our employees and talks about openly with patrons and friends deals with initiating compassion to everybody you come across in everyday activity. We coach our cashiers and fellow workers to give of themselves to each customer as they have opportunity. Greet them like they are somebody that matters to you. Validate people by remembering their name. It takes just a few seconds to initiate a meaningful encounter. “Caring” is what we give away. If we care, an amazing thing happens to us on the inside. We feel like we did something positive and we feel good. It’s a sensation where we feel elated or maybe we feel like we are ‘floating’ a little bit or maybe it’s our SPIRIT TAKING FLIGHT. Whatever it is, it makes life feel good. The same principle applies to giving or serving our community needs. Our purpose is to encourage our employees to set aside several Saturdays a year to volunteer for the benefit of the community. There are several give back organizations that organize work days to benefit schools, retirement homes and reaching out to the homeless. And, guess what, that same feeling of our SPIRIT TAKING FLIGHT happens again. And, life looks and feels even better. Finally there is the larger world around us. We also challenge our employees to get aboard a short term relief team and go where they have not gone before. Go and help with the needs just south of our boarder or to another 3rd world country where having a pair of shoes for your feet is a luxury. If you do, you will feel overcome in seeing what GIVING to others really means! Giving on this level is intoxicating. You not only feel your SPIRIT TAKING FLIGHT but you feel the warm thermals that enable you to soar (seemingly) forever. …AND YOUR SPIRIT WILL TAKE FLIGHT! Come Take Flight With Brushfire & Continue Our Story With Us! Chef john has been cooking professionally since the age of 15. Since then, he has opened restaurants around the country for himself and others. 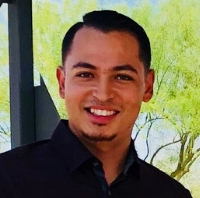 He currently is chef/owner of Firefly* on Paradise Tapas Kitchen & Bar, Persimmons Catering and Events, restaurant management company, Tacos & Beer and Tacotarian Plant Based Mexican Eatery, all in Las Vegas, NV. John has extensive experience with and passion for Mexican food and worked with the Berkey family to design the menu and operations for brushfire. 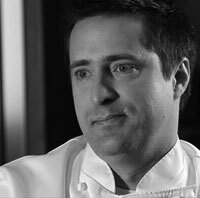 Chef Gregg was responsible for training chefs, managing quality control, new menu rollouts and enhancing the existing menus. 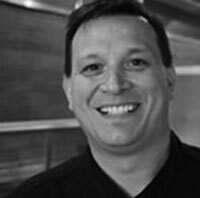 Chef Gregg has been an executive chef since 1998. Chef Gregg, a graduate of culinary school at Kendall College, has developed both his culinary and front of the house skills working with a number of restaurant groups. As President, Hope is responsible for overseeing all operations of Brushfire Tacos y Tapas along with administration, accounts payable/receivables, and human resources. She is a proud recipient of a bachelor’s degree in Business Administration from University of Phoenix. Prior to coming onboard with Brushfire Tacos Hope was a licensed insurance and financial service agent who worked alongside her Father Clint Berkey (Founder) for over 8 years. 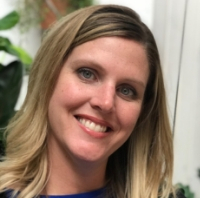 Hope and her family relocated to Phoenix, AZ in 2014 to launch and manage Brushfire’s start-up along with managing additional family owned entities in Arizona. She is the driving force behind our emerging and developing business systems. Hope works closely with the Founder and banking interests for prospective future Brushfire locations and investments. She has stamina, always a positive attitude and does not quit until a problem is solved. Sione is the face and personality that most of our Brushfire regulars want to see when they come in for breakfast, lunch or dinner. He started with the Founder from the very beginning days when the idea for the restaurant first emerged. He is the charisma and restaurant knowhow that makes everything happen inside the kitchen. There is nothing he does not know by heart concerning our restaurant recipes, kitchen procedures, meat cutting and product preparation. He is talented, bi-lingual and just fun to be around. His managers and employees are very respectful and loyal to him. He is faithful and tirelessly hard working. The Founder trusts in him and there is a special bond. He is capable of being the overall director of any number of locations. Read the story of how God called our founder and the challenges along his unique and fascinating journey of faith.